Waterproof Nylon fabric that is also wind resistant. 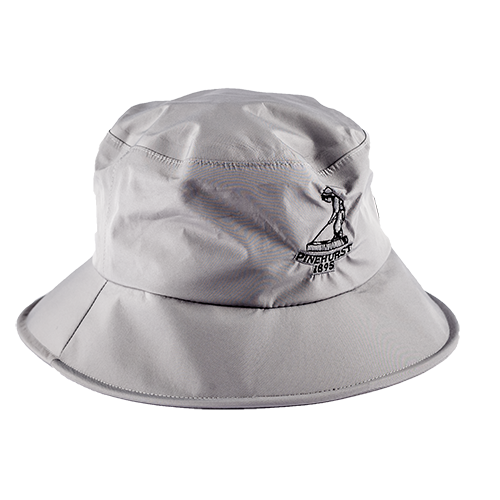 Hat features rain gutter funnels to repel water away from the person wearing the cap. Adjustable and removable chin strap. One size fits most. From Ross Brookshire of Schertz, Texas on 2/15/2018 . 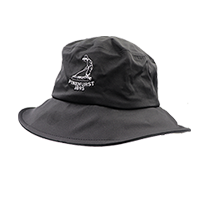 Unlike some of the other rain hats I've purchased, this one is larger and does a better job. I hate rain running down my back especially on cold days.